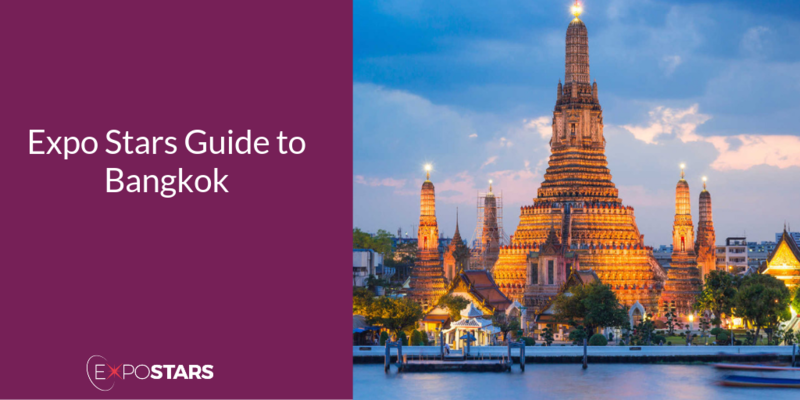 Bangkok is everything you'd expect it to be, and more. Thailand’s capital is noisy, crowded, colorful, exciting, infuriating, and fun. There are ancient sites to be visited and modern shopping malls where you can pick up a bargain. It's a fascinating city that represents Southeast Asia's tension between the developed and developing worlds. Thailand has a large and varied manufacturing sector, and seeing as it gets most of its money from tourists, the markets are quite niche, but their strengths in manufacturing and FMCGs have led Thailand to become a regional leader in trade and commerce. Bangkok airport, Suvarnabhumi, is approximately 30 kilometres (19 miles) east, half an hour from the broad Bangkok CBD area, depending on traffic and time of day. Most people use bangkok as a stepping stone to other places in Thailand, but if you have time to explore Bangkok, it is worth it. Grand Palace - If you only visit one major historical tourist attraction in Bangkok, this should be the one. The Grand Palace lives up to its name, with spectacular structures that would put the most decadent modern monarchs to shame. Wat Pho - Best known for the Temple of the Reclining Buddha, where you'll find a statue so big (45 m long and 15 m high), it cannot be viewed in its entirety only appreciated in sections. The Sixth - try their red curry with prawns, chicken cashew nuts, and Massaman curry. Bangkok’s Delicious Street Food - All over Bangkok, you will find cheap and delicious Thai food on the street - got to Sukhumvit Soi 38 street. Local currency is Thai Baht. Tourist Visa Exemption only applies to foreigners holding passports issued by the countries listed here. Travel documents for aliens issued by these countries are not acceptable. If you are not in the list, you will need to apply for visa. There are three types of plug sockets in use in Thailand: one has two flat parallel pins, one has two flat parallel pins and a grounding pin and one has two round pins. Although Thailand has the reputation in some quarters as being uninhibited and fancy free, in actuality, Thais can be quite socially conservative. The traditional Thai greeting is known as the “wai” and should be used whenever you are greeting someone. The wai consists of placing your hands together into a prayer position touching them to your head or chest, with the higher your hands are indicating how high a level of respect you are trying to convey. Generally this is also accompanied by a small bow or a nod of the head. Business cards are commonly exchanged, treat the cards you receive with respect, show interest in them by reading them and putting them carefully in a case or pocket.